Bodegas Copaboca is located in Torrecilla de la Abadesa, Valladolid, on the banks of the Duero river. They own 135 hectares of vineyard in an area that belongs to the Vega del Duero-Riberas de Castronuño Natural Reserve. Copaboca produces wine from five denominations of origin (Ribera de Duero, Rioja, Toro, Rueda and Cigales) in a sustainable and environmentally friendly way. STANTERIAMAN, along with AR Racking, have been responsible for the design and installation of the storage system for this company. In the 1,500m2 warehouse of this famous winery, two storage systems have been combined: a conventional AR PAL racking system, and a compact DRIVE IN system to meet Copaboca’s storage demands. 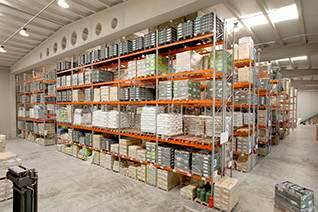 This installation consists, in the first place, of an AR PAL adjustable pallet racking system designed to store pallets moved by forklift trucks. In this structure a storage capacity for 468 positions has been obtained. 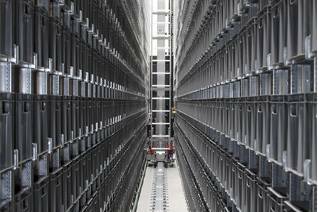 In another part of the warehouse, a 14 lanes x 13 pallets deep x 4 levels AR DRIVE IN double-access, compact storage system has been installed. It is a high-density storage system designed to make the most of the available space and height. Alberto Alonso, from AR Racking’ sales team says: "in AR Racking we have the skills and the know-how to combine several types of racking systems to meet the needs of each client. We are also specialists in the food and beverage sector, paying special attention to products as delicate as wine bottles". 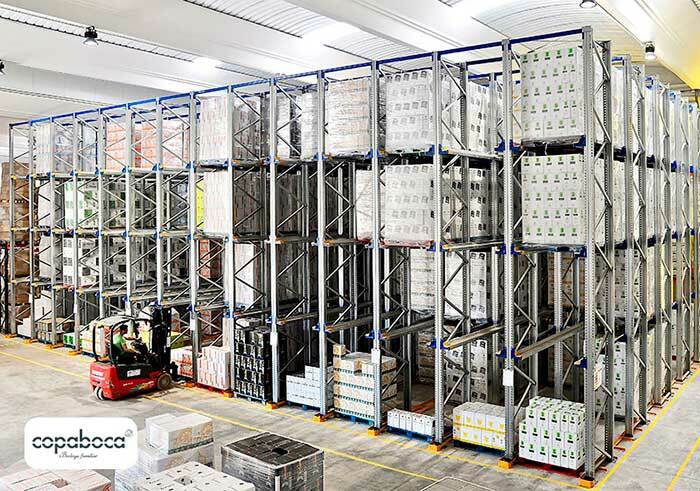 For Mario Felipe Alonso, Deputy Manager and Commercial Manager of Bodegas Copaboca, "Our main concern was that our racking supplier perceived that our product is made with great delicacy and under strict quality standards. We needed a storage system that met these requirements. 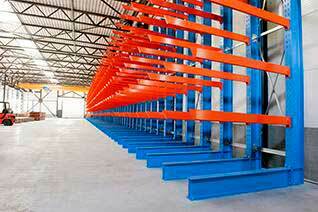 It did not take long to see that AR Racking was living up to our expectations”.